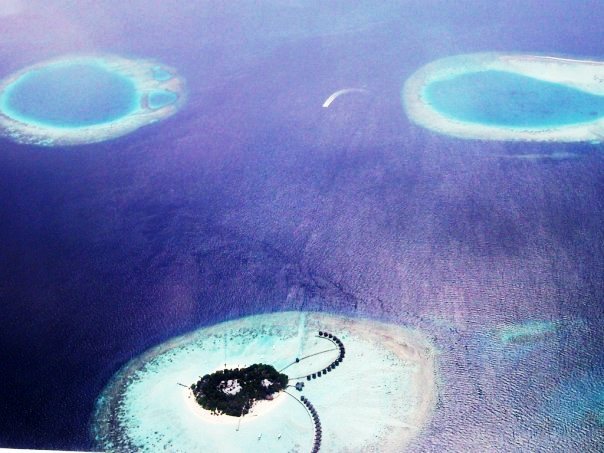 Fringed by coral reefs that meet soft white sand, rings of blue hues from crystal clear waters surround the 1190 islands of the Republic of Maldives. Soneva Fushi, located idyllically on Kunfunadhoo Island of the Baa Atoll, offers all the charm one would expect of the Maldives in utter sophistication and luxurious comfort. 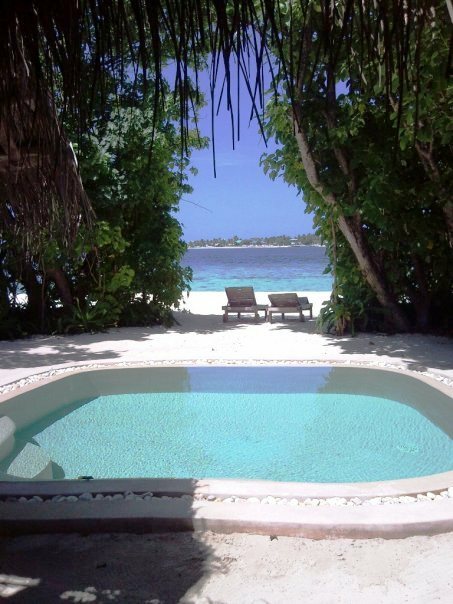 Tucked away in lush tropical vegetation, 65 villas stay cool from the hot and humid Maldivian weather. 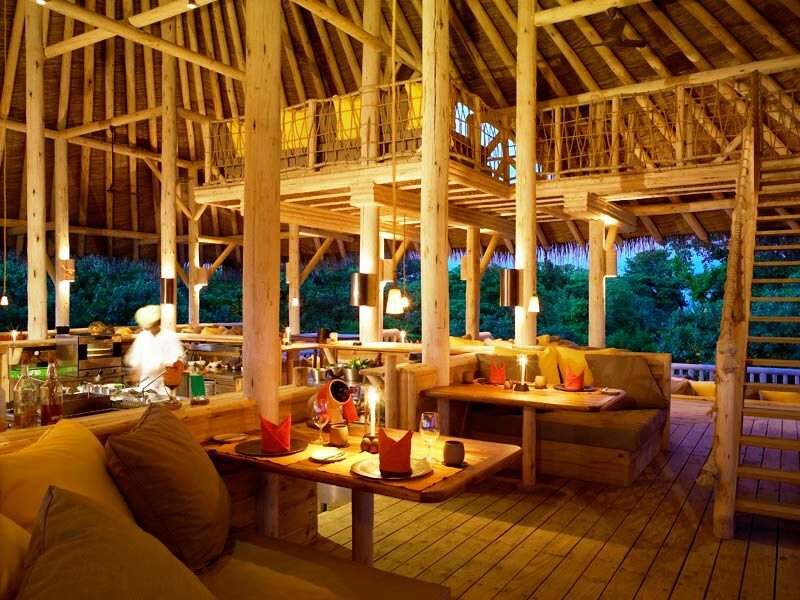 The limited villas allow for exceptional service by attentive hosts, predominantly male, at a guest to host ratio of 1:4. Generously spaced out for privacy and nestled in nature, the villas and other buildings are constructed and crafted from renewable and certified-sustainable sources. 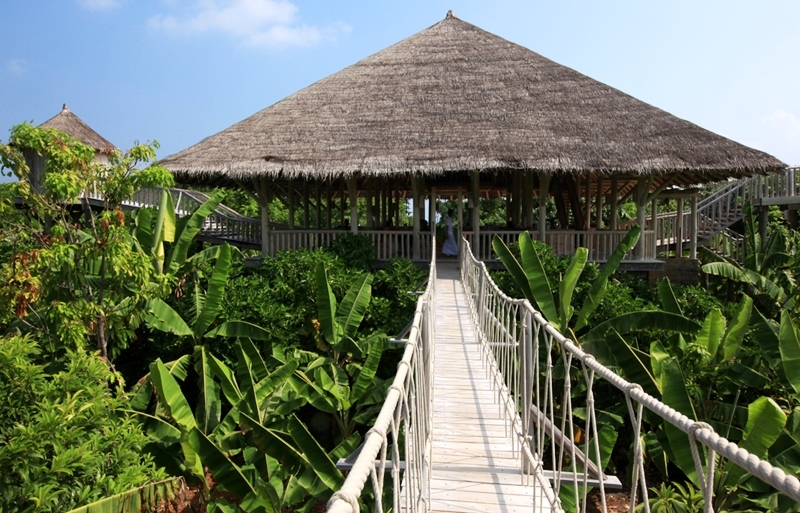 Fast moving towards its ‘Zero Carbon’ goal by 2010, Soneva Fushi had a carbon footprint audit carried out and a suite of carbon emission reduction strategies are being implemented. One ambitious experiment worth highlighting would be the Deep Water Cooling of villas and other buildings using nature’s renewable resources – i.e. cold deep seawater, resulting in 70% energy saving through more efficient air-conditioning. Other carbon reduction (and waste reduction) measures include growing the resort’s own food in the organic gardens and sourcing produce from local farms and fishermen, thereby reducing air miles and non-biodegradable packaging, not to mention rewarding the human gastronomic sense with the freshest ingredients. 0.5% of Soneva Fushi’s annual revenue goes into their Social and Environmental Responsibility Fund (SERF), which supports national and international programmes on health, education, conservation and community development. 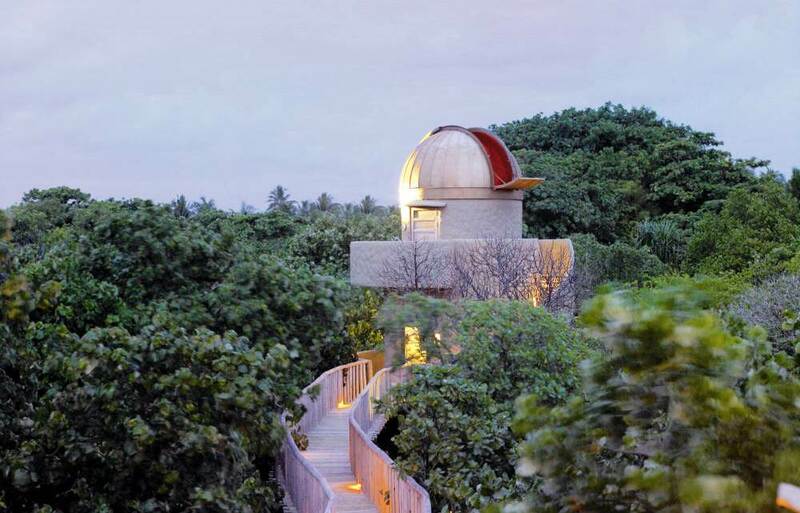 Whether you decide to go barefoot and stroll along the beach or jungle paths, star-gaze at the Observatory or dive into the depths of the sea, or even indulge in their award-winning spa treatments, one is bound to embrace Soneva Fushi’s “S.L.O.W. L.I.F.E.” concept – Sustainable, Local, Organic, Wholesome, Learning, Inspiring, Fun, Experience…The real experience guests repeatedly return and stay on for. Relief is the immediate step after a natural disaster. Then what? An uncertain future lays ahead for communities whose livelihood and surroundings have been directly affected. Fisherman villages in Southern Thailand had to rebuild their lives and look for new opportunities to sustain their families after the 2004 tsunami. Andaman Discoveries (AD) previously known as North Andaman Tsunami Relief (NATR) stemmed from tsunami relief pioneered by Bodhi Garrett to serve communities he had lived with and respected. After the initial rebuilding of homes through community-driven tsunami relief, it soon progressed into long-term post-tsunami development programs. Participatory workshops and community meetings sparked the idea of potential tourism as a means of economic renewal. Villagers wanted to welcome tourists in a way that will not bring negative and harmful impacts like that of mass tourism. Since then, AD works closely with interested villagers on vocational training (covering aspects of tourism, guiding, hospitality, small business management, community development, English and computers). The idea was to maximize and utilize local knowledge and local people as a means of tourism. Villagers return empowered to set up home-stays and design a holiday experience for guests. Now, guests can choose from six villages to stay in – mostly fishermen communities. Accommodation is simple and clean often with a fan, mattress and mosquito net for a good night rest. Guests are assigned to different host families whom they will spend their time with. Often times, guests leave with great memories of relationships being made. Some even stay to volunteer. Activities in each village are focused on preserving the culture, religion and environment within the village. Busy your day with big net fishing, batik and soap making, cashew and fruit harvesting or even teaching English to villagers. Conservation programmes such as mangrove and orchid replanting are also encouraged to educate guests on the natural surroundings. 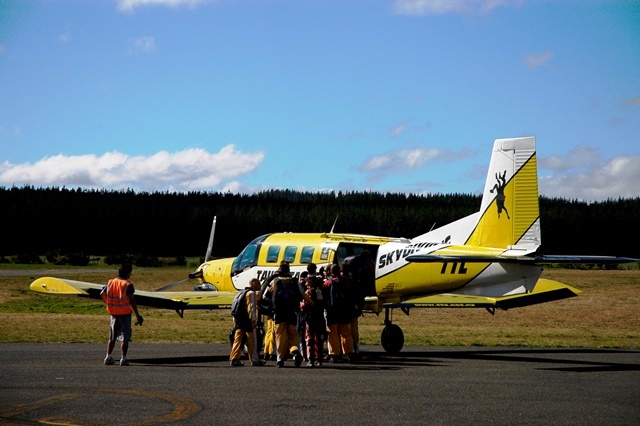 The majority of the money of each trip goes directly to the villagers and 20% of guests’ in-village costs are donated to the community fund which funds community-led projects. AD helps provide communities with new sustainable livelihoods to replace those they lost in the tsunami. A five hour drive away from busy Bangkok, Lamai Homestay offers its guests the simple yet authentic experience of living in the rice village of Kho Phet in North-eastern Thailand…. A five hour drive away from busy Bangkok, Lamai Homestay offers its guests the simple yet authentic experience of living in the rice village of Kho Phet in North-eastern Thailand. Jimmy White and his wife Lamai Ormnock run the homestay. From dawn till dusk they accompany guests on tours within and outside the village – tirelessly explaining the Isan way of life, making sure guests are well fed with mouthwatering Thai cuisine and even changing bed linens to ensure a comfortable stay. The homestay only allows 6 guests per visit usually spanning between 3-5 days to ensure personalized attention and minimize impact on the environment and daily routines of the villagers. The house was built on barren land mindful not to take up precious rice planting space. 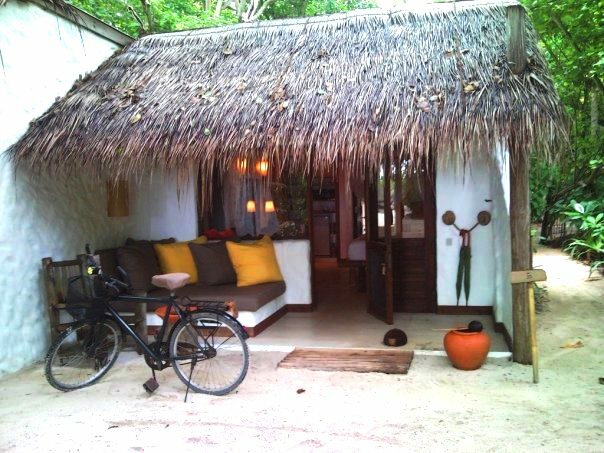 There is an eco-dwelling hut just few steps away from the main house made from mud and rice husk bricks and supported by bamboo structures. The homestay also encourages biodiversity by surrounding the land with native trees and plants to promote that habitation of various species of insects, birds, lizards, snakes, butterflies and frogs. Energy and water conservation comes as second nature to the homestay as Jimmy and Lamai operate the homestay similar to any household who has savings in mind. Water is vital to the village as this season of drought posed critical to the paddy fields. The homestay goes the extra mile by channeling all grey water from the guest rooms into the flourishing garden. With the inclusion of the homestay, surrounding villages have benefited economically through income generated from tourists – from buying locally hand-woven silk to contributing to the upgrading of the local school. The homestay plays a vital role in educating guests on the cultural diversity of the village folk. 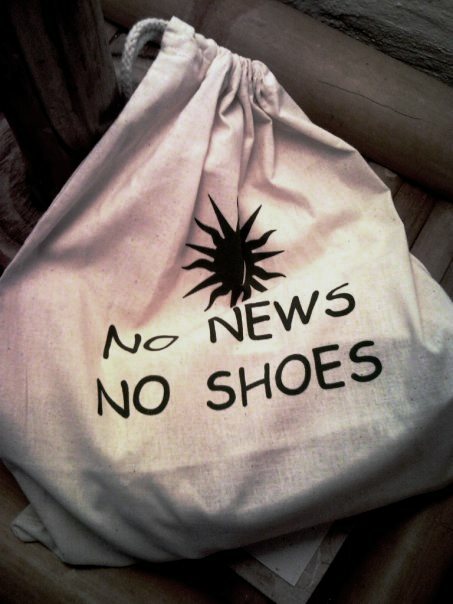 Guests are encouraged to participate in the daily routine of villagers to avoid disrupting their schedule. Choose to food forage with the villagers in hunt for scorpions, beetles and frogs with spades and shovels or watch the delicate process silk making from boiling silk worms, spinning, dyeing to weaving the silk – this is truly a genuine and unique Thai village experience! 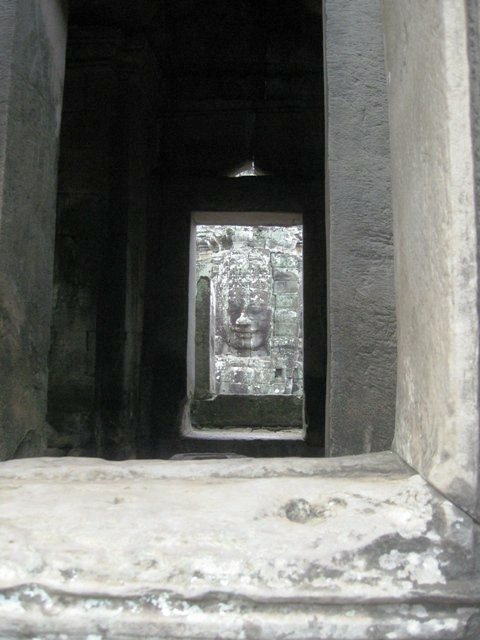 Where old world and new world collide – Siem Reap to me is a country battling to find her identity. A mix of Vietnam, Laos and Thailand, this mesh of culture, tradition and lifestyle intrigues me. 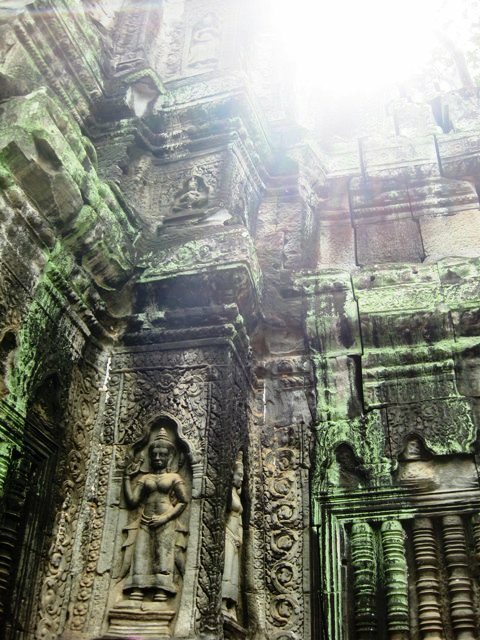 Travelers flocking to Cambodia has ‘visiting the ruins’ as top on the list of must do’s , then maybe sparing some time to volunteer at one of the many hundreds of NGOs polka dotted across the country, then comes the food and perhaps cultural centers showcasing Apsara dancers. 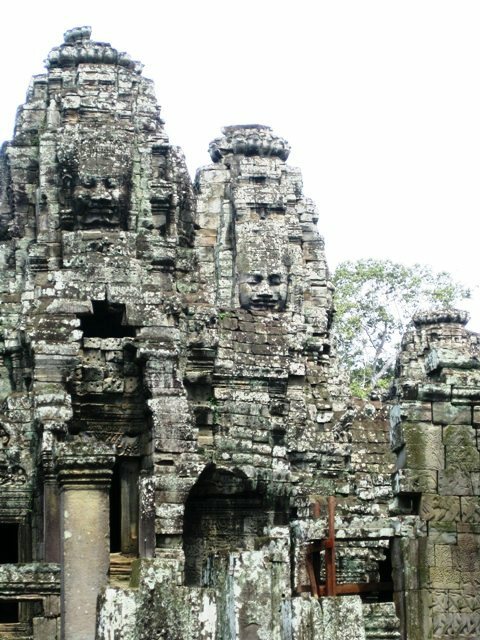 Indeed Cambodia has successfully preserved their national heritage of craggy temples, the famous Angkor Wat, Ta Prohm and Bayon being the most visited. 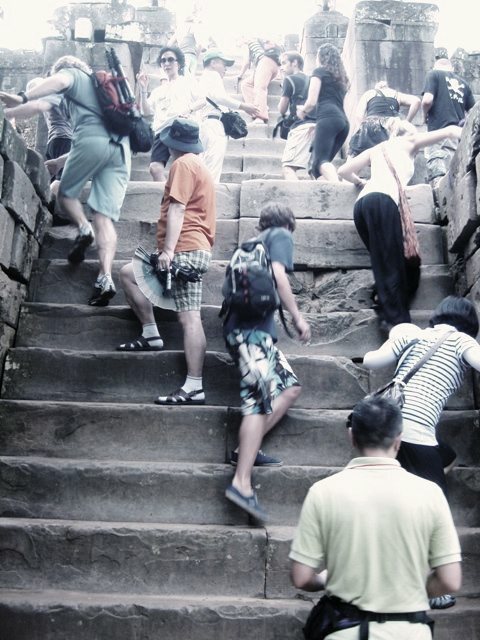 Throngs of tourist stream into these ancient landmarks photographing at every angle. Perpetual hand and footprints have left its mark on these stones turning them into a darkish grey. 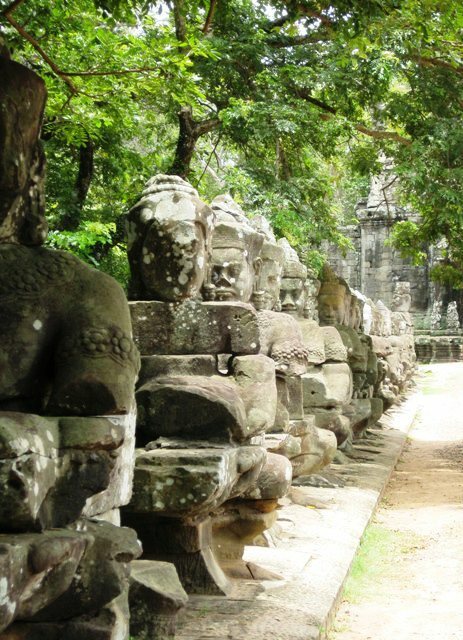 The structures are mesmerizing with century old stories to tell. Towering soft wood trees anchor themselves on these structures providing shade against the sweltering heat. 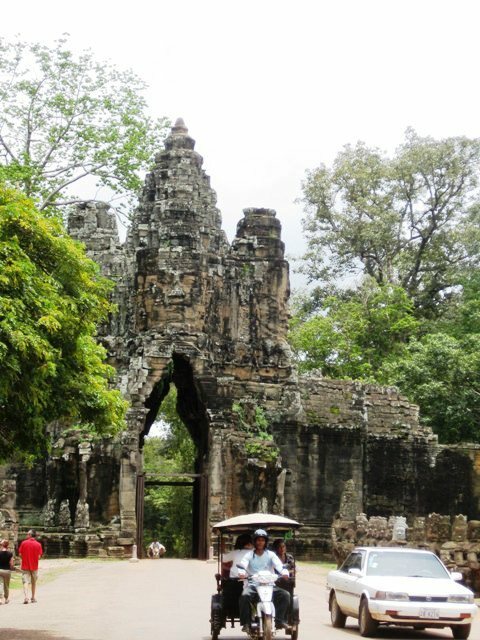 Modern day Cambodia is a representation of the old trying to embrace the new, yet not there yet. Struggling to find a foot in development, Cambodia is still very rural and laid back in my opinion. Development visited only when foreign trade and intervention infiltrated the land. Many NGOs set up in the country is established for the fact that the local economy desperately needs help. 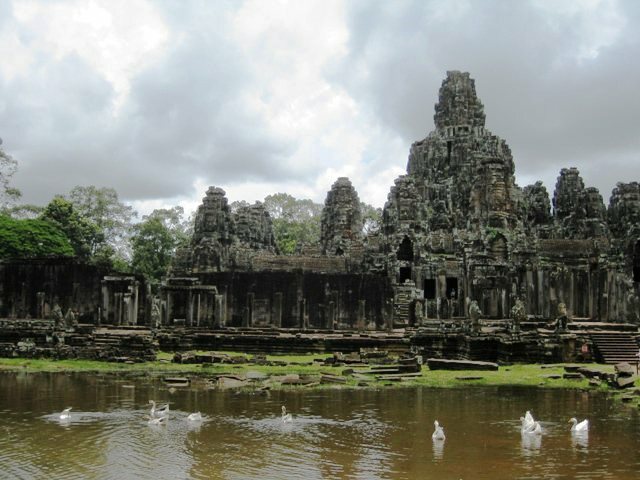 Hopefully Cambodia will one day be able to stand on its own feet and thrive. 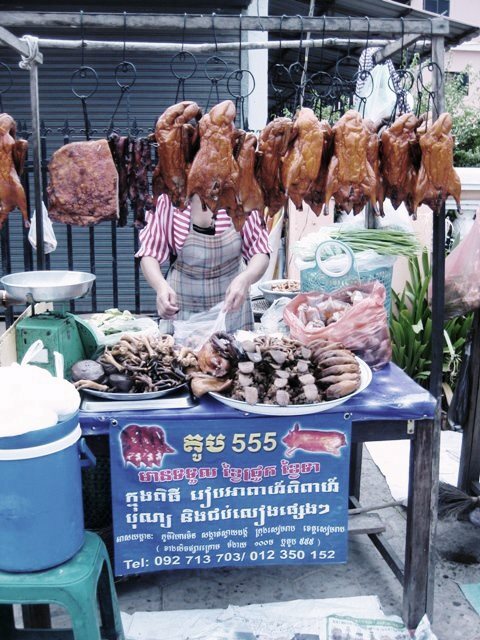 The streets still lined with food vendors, tuk tuk drivers calling “tuk tuk lady” the minute they see a foreigner, make shift fish spas set up to lure tourists, touts continue to tail you just to get one dollar for a stack of postcards. Tourism is big here. But how far can this stretch? That remains a big concern. Shangri-La’s Tanjung Aru Resort & Spa, Kota Kinabalu, Sabah, may be a large sized resort renowned for its impeccable service and beautiful surroundings; however it is what happens behind the scenes that makes this hotel outstanding. The resort has been recognized by Wild Asia as one of the finalists for the 2009 Responsible Tourism Awards because of an array of best practices that have been adopted and applied. One of the best practices of responsible tourism is “Their participation and Support of the Local Community through a range of philanthropic activities”. They sponsor many schools in the area, including La Salle secondary school, Sabah College, and Seri Mengasih, a school for mentally challenged students. They have adopted 4 students this year and have helped to provide an education for these children. They have raised funds for and donated various items to the schools, such as books, magazines, play grounds, recycle bins and others. The resort has also involved students in environmental activities, such as beach clean ups and recycle buy back centers within the school. Another responsible tourism best practice worthy of noting is “their strong commitment to local employment and worker’s welfare”. Shangri La’s Tanjung Aru Resort & Spa guarantees excellent staff conditions, as well as extensive training in environmental management for all employees. Over 90 percent of staff is from Sabah, and many of them have worked at the resort for over 20 years. It is not uncommon to find two generations of a family working at the hotel. Finally, Shangri La’s Tanjung Aru Resort & Spa is involved in a range of “innovative environmental activities that promote conservation”. They have adopted Zero beach, a public beach located adjacent to their resort property. They have accomplished a dramatic cleaning of the beach area, and try to promote local environmental awareness through education in surrounding schools. The resort has an organized and efficient recycling separation process, as well as composting all organic waste with Bokashi, a microbe enzyme that speeds up the composting process. Recently, the hotel has taken the initiative to involve both local schools and hotel guests in making EM mud balls containing this microbe in order to release into polluted streams. The mud balls slowly dissolve and release microbes into the water stream to help improve water quality. The resort has also taken on the immense uphill battle of helping to clean up the neighboring water village, wrought with layers of rubbish. Shangri La’s Tanjung Aru Resort & Spa understand the importance of being a leading role model in local environmental conservation and social empowerment. They have a long uphill battle presented before them, but are committed to improving the surrounding natural and cultural heritage. If I Had Wings I Could fly! No Comments on If I Had Wings I Could fly! The drive from Rotorua to Taupo was a buffer to calm our nerves for what’s to come. 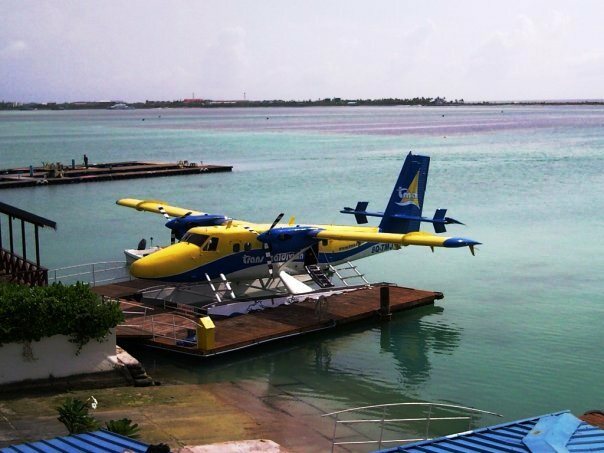 We had called to book us slots to dive from 12000ft from an airplane – yes! 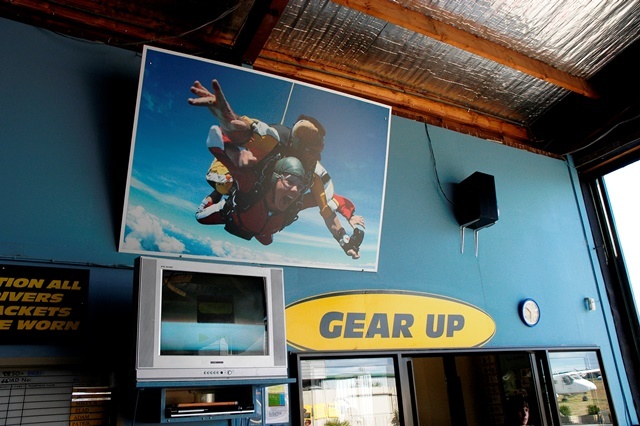 it’s sky diving. Given the fact that a professional will practically do most of the work whilst you are strapped onto to him doesn’t discount the fact that it’s pretty darn high to be plunging down. 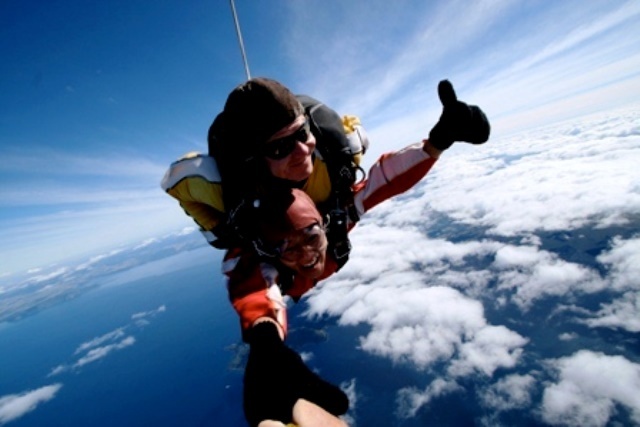 We chose Taupo Tandem Sky Dive as our operator and paid NZ$219 each. 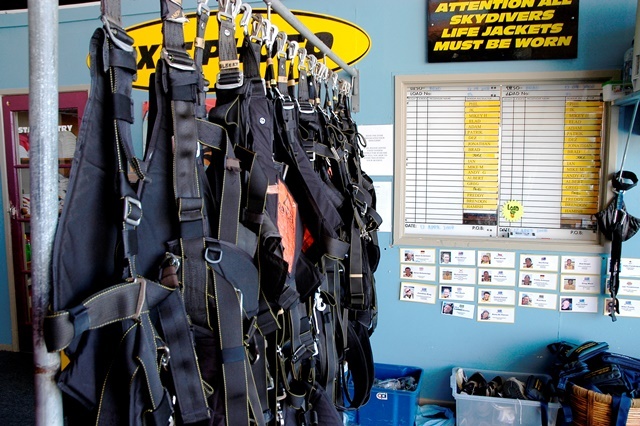 They got us geared up in long red jumpers, harness, belts, sky beanies and eye shields. Wasting no time at all they walked us through some simple instructions and ushered us into the jet plane with our professional divers. Positioned steadily on the run way was a tiny little jet plane with a flimsy looking see through sliding door that opened up for our entry. About 10 of us piled into that plane and the door casually shut. At 8000ft my heart was already beating like crazy. I couldn’t hold onto Terence’s hands since he was way at the back. I later found out that he was also trying to psyche himself for the jump! At 11000ft, I was thinking to myself “I gotta be crazy, is there a chance for me to change my mind?” Too late, my diver (Patrik) whispered into my ear “This is it, are you ready?” He gave me some final instructions and signaled me to move towards the door. Within seconds my camera man (a hired diver) motioned a thumbs up and we were OUT! *Silence* Then it was screams all the way as I felt my heart leap out of my body and I was just falling. The camera man in front of me made me do silly gestures, made me smile at the camera and wiggle my fingers – all I could think of was, I need to fall in style, so this is my only chance! At 5000ft the parachute was released and instantly from a horizontal position we were flung back up into an instant vertical position. It was no longer flying because I felt we were flying. 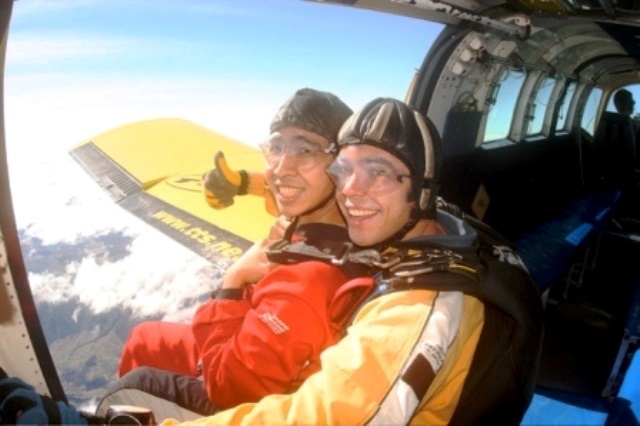 The parachute looked immense as it towered over us, Patrik glided us above the waters then onto the mountains, he made a 360 degree swoop around showing off Taupo’s stunning scenery. Everything looked so small from above, the cars looked like toys, even the jet plane looked puny. As we glided onto the runway, the parachute gently rested us back on land. Terence came gliding in a few seconds later with a pure surge of adrenaline written over his face. 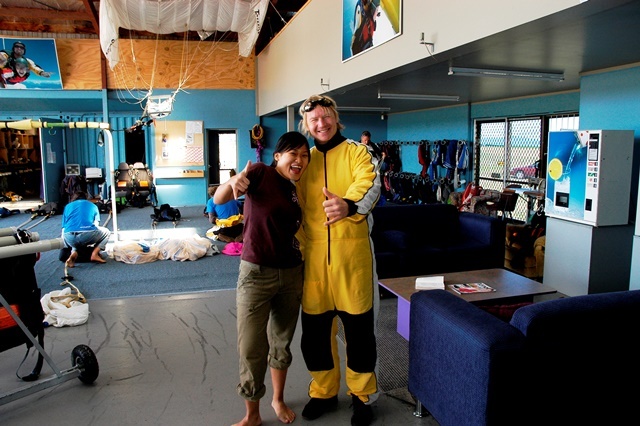 We were ecstatic and still in awe at the madness we put ourselves through just to see NZ at a different perspective. Worth every penny paid?! Absolutely! 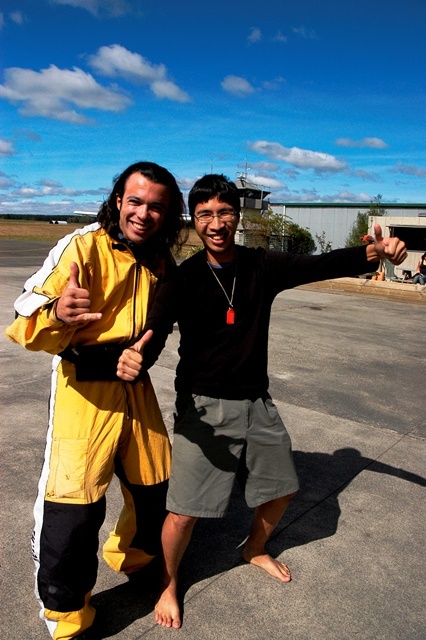 We’ve got photos and a DVD to refresh our memory of that moment where we allowed ourselves to fly!